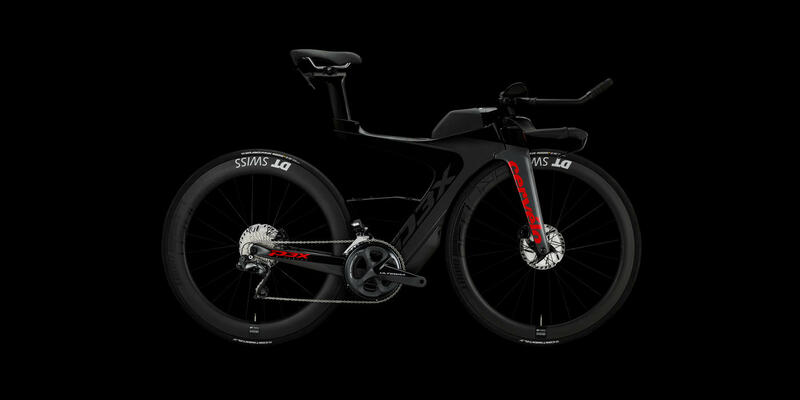 Cervélo have unveiled their latest triathlon-specific bike, and it's an impressive machine. The distinctive frame shape, without seat tube or seat stays, is the most striking visual, and as you'd expect from Cervélo it has some serious aero credentials. But it's not just about looks, and the new P3X frame is a significant 16% lighter than the P5X, and the component parts are lighter too. That sleek rear end should also make for some extra compliance to ensure a comfortable ride, although not at the expense of efficiency (Cervélo measure it as being 8% stiffer at the head tube and 15% stiffer at the bottom bracket compared to the P5X). Disc brakes are standard, of course, but perhaps more interestingly there's clearance for up to 36mm wide tyres, allowing plenty of room for modern designs which maximise grip and comfort whilst maintaining low rolling resistance. The level of adjustability looks particularly good, which is always something we appreciate when finding the correct fit. Cervélo have also taken into account the travel involved in Tri, and ensured that the P3X is particularly easy to take apart and reassemble for travelling with a bike box. 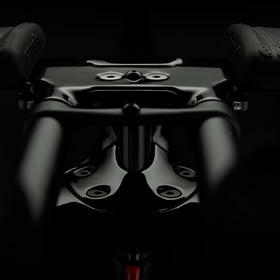 Both are equipped with the latest generation Shimano Ultegra Di2 electronic groupset, with hydraulic disc brakes. 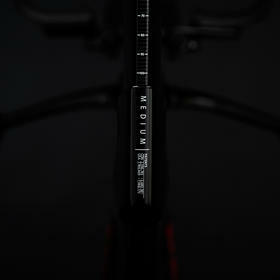 So it's primarily a case of deciding whether the weight and aero benefits of the carbon wheels fall within your budget. We have all the geometry data ready to go, so if you're looking for a P3X then book in for a fit now (or if we've done a bike fit for you recently we can use the data we have on file). Taking from the learnings of the original P5X, the P3X was engineered with the same ride quality, and leverages many of the advantages that made the PX-Series an industry leader. Cervélo's team of engineers spent countless hours watching triathletes on their bikes in training and races of all distances, making note of every angle and detail, big and small. And they listened to the feedback from pro and amateur athletes as they outlined what they needed for their personal best. 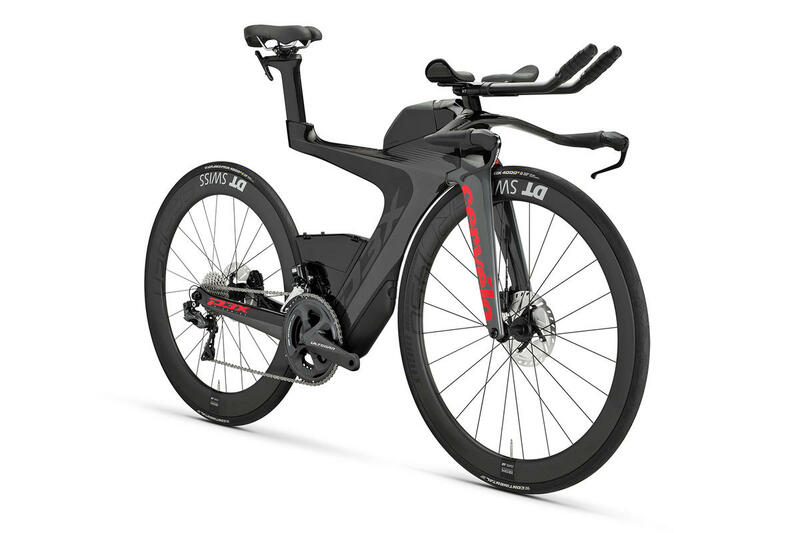 The result is an aerodynamic, comfortable, and stress-free bike which gives the triathlete every possible advantage as they push their limits. 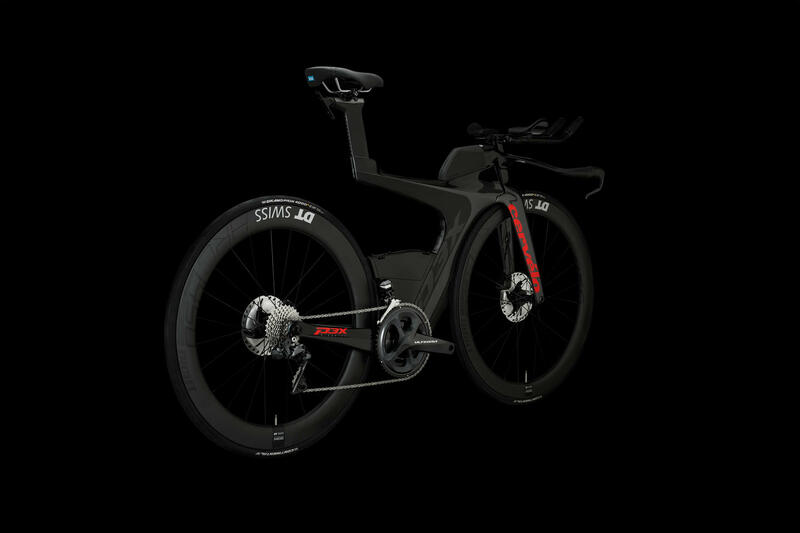 "When we looked at designing the P3X, we started by taking in the learnings from the original research and design of the P5X," says Lesley Loughlin, Marketing Manager, Triathlon, Cervélo. 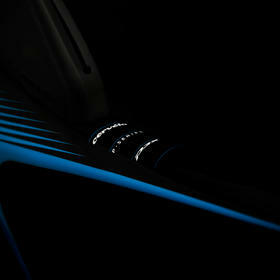 "We leveraged many of the key elements that made it such a revolutionary design." 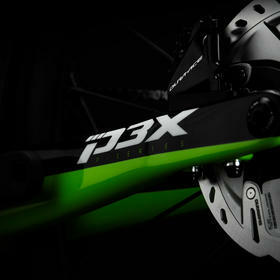 "The P3X is lighter, and the comfort, control and confidence commanded is second to none," Loughlin continues. "Our triathletes have incredibly diverse needs, and we work with them to build the best bikes that will drive them to push their limits. To Cervélo, and to every athlete, It's Personal." 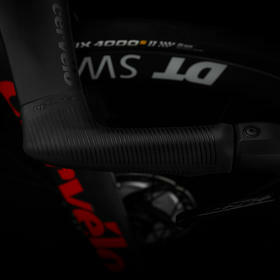 Applying cutting-edge layup techniques and design principles, Cervélo made the P3X lighter than the iconic P5X while improving its stiffness. A stiff, light bike climbs better and accelerates faster, offering noticeable efficiency gains and a lively, responsive ride. Put simply, it just feels fast. 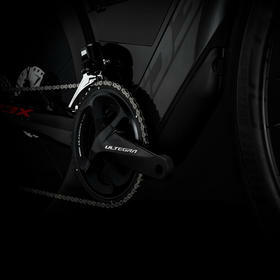 The P3X makes training, travel, and racing stress-free. Precise adjustments to fit and handlebar position are easy to make using one tool. Flexible integrated storage allows for personal storage set up. Standard components make it simple to maintain and travel with the P3X. The lighter the bike, the easier it is to keep moving. Cervélo keeps the weight of its frames and parts as low as possible, without sacrificing stiffness, ride quality, or safety. Engineers achieve this by combining the ideal mix of shapes, materials, and lay up techniques. A combination of material, shape, and layup are used to engineer the desired stiffness of different parts of the frame. 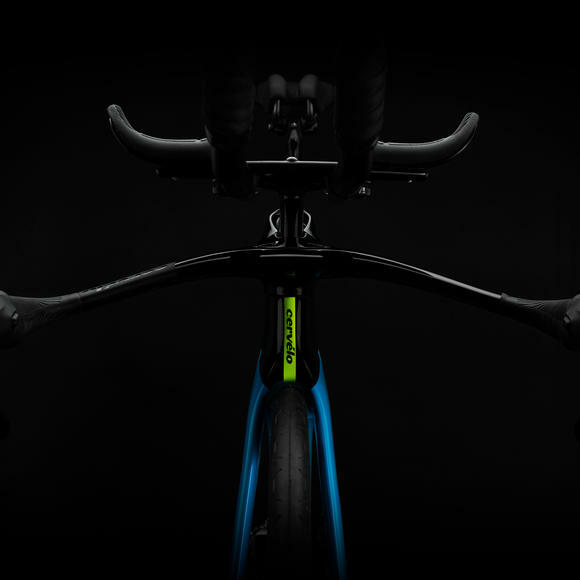 Cervélo optimized the stiffness of the head tube, for stable and predictable handling, and the stiffness of the bottom bracket, so that more of the athlete's power is directly transferred to their forward momentum. Confidence and comfort are essential when you're spending hours in the saddle - because if you're not feeling good, you can't ride at your best. The P3X incorporates design features that reduce rider fatigue and help the athlete feel comfortable and safe from the first pedal stroke to the last.